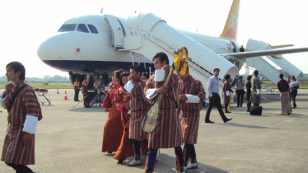 He Expertise in to any type of Bhutan Holidays and love to customize the new Itinerary for each guest based on their interest and suggest them best routing and high quality of hotels and lodge. Thought out tour with English speaking guide. On arrival at Paro Airport we drive to the capital city of Thimphu the only capital city in the world without traffic lights. The total population is approximately 90,000 increased drastically in recent years. In Thimphu you will certainly visit several tourist attractions such as the Memorial Chorten, a shrine built in the memory of the late king, Jigme Dorji Wangchuk. Many Bhutanese people gather here to pray every day, Nunnery on the outskirts of Thimphu. You will then visit the School of Arts and Crafts or "painting school", where Bhutanese children can follow an eight year program in traditional arts, such as drawing, painting, woodcarving, and sculpture. This will be followed by a visit to the Heritage Museum, Changgangkha Lhakhang temple, national Library, Traditional Hospital and see how paper is made from the Daphne plant with cosmos flower petals and other plants. At the end of the day, we may also pay a visit to the great Tashichho Dzong, seat of Bhutan administrative and religious center. 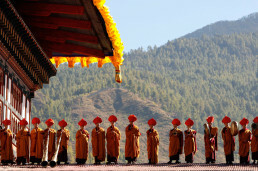 After breakfast you will get ready for Thimphu sightseeing, Visit the sights that you probably have missed yesterday. 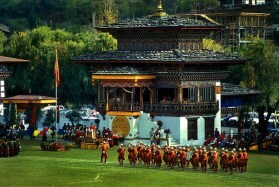 If you feel ok to hike, your guide will take to north of Thimphu 25 Kms north and hike to the temple of Cheri Goemba. This hike is short but steep. This monastery is the first where the first monk system was established in Bhutan by Shabdrung N Nangyal unifier of Bhutan at the beginning of the 17th century. This is quite a place and location where you will feel that you are on the roof of the world. 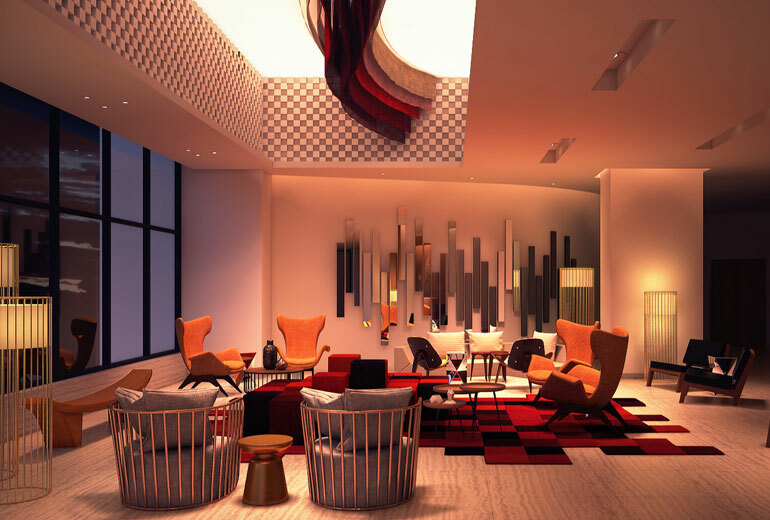 Return back to the hotel and relax. Overnight stay. After breakfast you will depart from Thimphu to Punakha Valley on the way you will enjoy the scenic beauty of Punakha Valley and see Rice Field and many more . En route stop at Dochu La Pass, 10,000ft to view the eastern Himalayas, including Bhutan highest mountain, Gangkar Punsum, 24,770ft. The road then drops down through varied ever changing forest, finally emerging into the highly cultivated Punakha valley. 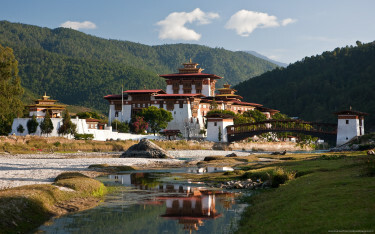 In the afternoon you will visit Punakha Dzong 1637 AD, one of the most impressive in the country situated between two mighty rivers basically known to people male and female rivers. Time permitting visit the small town of Khuruthang in Punakha. Overnight Stay. After breakfast excursion trip trip Wangdue. After breakfast you may visit a temple of fertility or Chimi Lhakhang . Chimi Lhakhang was built by lama Drukpa Kunley in 1499. He subdued the demoness of the Dochu la with his magic thunderbolt of wisdom, A wooden effigy of the Lama thunderbolt is preserved in the Lhakhang, and childless women go to the temple to receive a wang blessing from the saint. Take a tour of the national museum formally the watch tower takes approximately more than an hour. Also visit the mighty Rinpung Dzong 1646 AD where the Hollywood movie the Little Buddha was shot. Your hike this morning is to the site of Taktsang Monastery meaning Tiger’s nest, tragically wrecked in a fire of early 1998. The monastery, which has now been rebuilt, is perched some 2,000ft600m up on a sheer cliff overlooking the valley and was said to be where the legendary Indian saint, Guru Padmasambhava, flew from Tibet on the back of a tiger to defeat five demons, who were opposing the spread of Buddhism in Bhutan. The hike is about 1 & 12 hours to the teahouse, from where you may either opt to go further uphill to the monastery for about 1 hour. Lunch is served at the tea house with the majestic views of Taktsang above and the Paro valley at the bottom. The return trek to the road head is downhill and takes about a little more the time it has taken you to come up.